Adaptable mobile apps for healthcare have the promise of tremendous benefits for the patients who will be using them. At their core, these apps will allow patients a greater degree of control of their hospital room environment, through a variety of controls integrated with building infrastructure. The resulting benefits for patients present a compelling case for healthcare facilities to adopt these apps as a part of their infrastructure and patient satisfaction program. If a patient thinks it’s too cold or warm in their room, a mobile app installed on a bedside tablet will enable them to raise or lower the temperature at the press of a fingertip. Patients would no longer need to call a nurse to adjust the temperature, lighting, or window blinds in their room, allowing nurses to provide more essential care to patients who urgently need it. Allowing patients to have more say in their environmental conditions is a sure-fire way to improve their comfort and overall satisfaction during their stay. In addition, it presents measurable medical benefits, such as reduced requests for pain medication and lowered stress levels. A mobile app for healthcare can also replace the traditional nurse call button in hospital rooms. By supplying the nurse call button on the same tablet as the temperature controls, the patient can quickly request assistance and the follow-up nurse response time can be monitored and logged. These benefits increase the quality of care, patient satisfaction ratings, and in turn, the hospital’s overall reputation. In addition to their use with patients, mobile apps also hold a host of possible benefits for seniors in assisted living facilities. In addition to easy, digitized control of room environment, seniors would not need to get up to adjust room temperature, or close and open a window blind. For those with mobility issues, this reduces the risk of injury through falls. It’s also better for seniors with memory problems; instead of unnecessarily getting up to adjust a thermostat that was adjusted fifteen minutes before, digitized controls will allow for an easy reminder that the thermostat has already been adjusted. 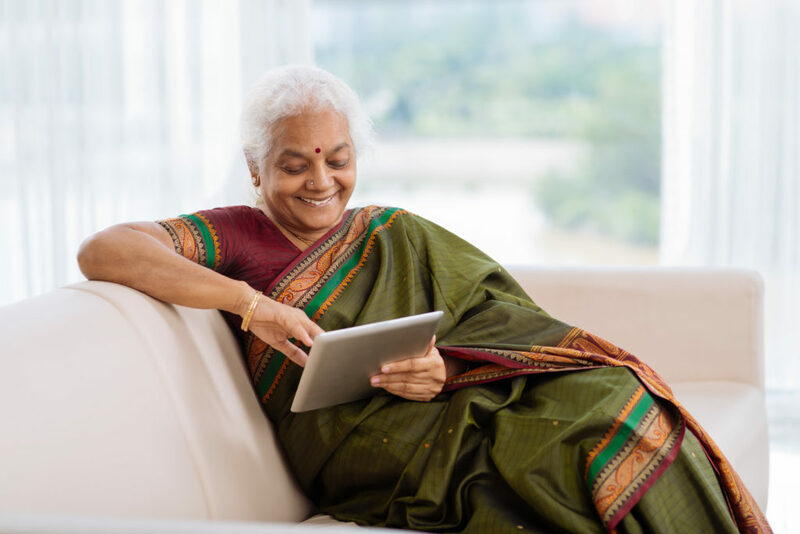 Adaptable mobile apps for Healthcare provide substantial benefits for the patients and seniors using them, as well as the nurses and healthcare organization as a whole. In the next blog we’ll discuss more about the benefits that extend even beyond the patient, making an even stronger case for adopting the technology. Read our white paper to find out more about benefits of mobile apps for patients and seniors! What other benefits to patients have you seen from mobile apps in healthcare? Let us know in the comments below! You shared good information. I like you article because now a days everyone looks for latest technologies and easy done.Thanks for it. Thanks for your comment. Glad you hear you found value from the blog. Please check out our Linkedin page here: https://www.linkedin.com/company/se-healthcare for more information from Schneider Electric Healthcare Solutions. Healthcare Mobile Apps Must-Haves: Benefits for All Top Three Qualities of a Good Adaptable Healthcare Mobile App From Millions to Billions: The Rise of Healthcare Mobile Applications IoT in the Real World … How Can Mobile Apps Help Us Connect?